For Uber, which sees the lowest per-mile cost of operating an automobile here at 21 cents, markets like India led to an 18% decrease in its global average fare. BENGALURU: As ride-hailing major Uber filed its initial public offering (IPO) prospectus on Friday, India has been listed as its fifth largest market outside the US in terms of total miles of rides covered (30 million miles). The San Francisco-based company also counts its Canada business with the US. For Uber, which sees the lowest per-mile cost of operating an automobile here at 21 cents, markets like India led to an 18% decrease in its global average fare. “Ride-sharing trip growth outpaced ride-sharing gross bookings growth as a result of our expansion into markets with lower average ride-sharing fares, such as Latin America and India,” the cabhailing major said in its IPO filing. The company also added that operating expenses are to “increase significantly in the foreseeable future” and it “may not achieve profitability”, with the filing showing $8 billion in losses since it was started. While the gap between India and other markets is significant, Uber did not give country-wise breakup in continents like Europe or Africa. In total, Uber is present in 63 countries spread across over 700 cities. For the quarter ending December 2018, 52% of Uber’s gross bookings came from international markets. “India is a low ticket-size but high-volume market. In the long term, India would be an important market for Uber,” said EY India partner and national leader (consumer products & retail) Pinakiranjan Mishra. In the IPO documents, Uber mentions the competitive pressure it has been facing here in both ride-sharing and food-delivery business from Ola, Zomato, and Swiggy, and that they may have the advantage of being a local player. TOI previously reported Uber was looking to sell its food delivery business to Swiggy here, but the talks have paused for now due to regulatory and tax complexities. It might resume after the Uber IPO. An email sent to the Uber India spokesperson did not elicit any response. Globally, Uber saw 91 million monthly active users for the quarter ending December 2018. The ride-sharing business had a revenue of over $9 billion in 2018 while the same for UberEats was close to $1.5 billion. Excluding certain transactions, its losses stood at $1.8 billion last year. 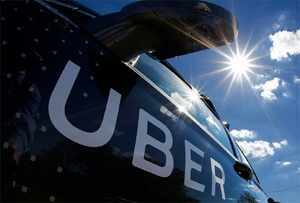 Uber is expected to raise about $10 billion via its IPO with an estimated valuation of $100 billion. Uber’s much-anticipated IPO was preceded by US rival Lyft which went public recently.